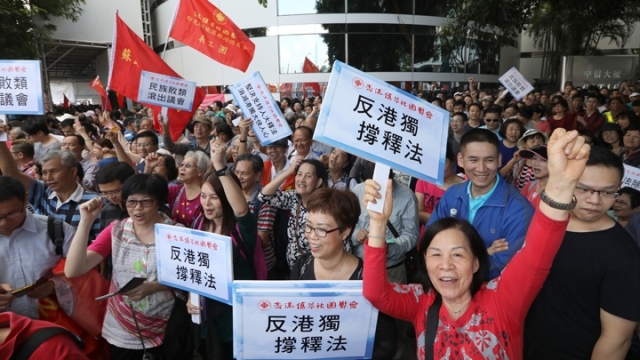 Some protesters who rallied in support of Beijing’s interference in the oath-taking row have revealed that they were paid to attend Sunday’s demonstration outside the legislature. Thousands attended the rally to voice support for Beijing’s rare ruling on Hong Kong’s mini-constitution, handed down last week as a means to block lawmakers critical of China from taking office. 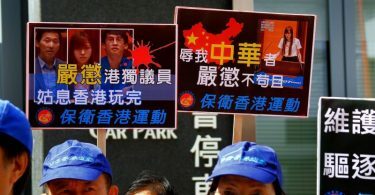 Protesters criticised the pro-independence stance of two Hong Kong lawmakers at the centre of the controversy. A protester told Apple Daily on camera that she came from Shekou, Shenzhen, and was promised HK$300 as reimbursement for transport. She said Hongkongers were paid HK$300 more than mainland participants. Another rally-goer, 12, also told Apple Daily on camera that participants would be given HK$100 and free meals after the demonstration. She said her parents brought her to the rally, and criticised Youngspiration’s lawmakers Yau Wai-ching and Baggio Leung Chung-hang for promoting Hong Kong independence. She said: “They are Chinese people, so why are they protesting against China?” The demonstrator said that she did not know the content of Beijing’s ruling, but she believed the decision would not affect Hong Kong’s rule of law. 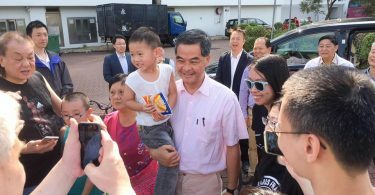 An attendee told the Ming Pao newspaper that she registered for the event with three other family members through the Confederacy of Hong Kong Shanwei Clansmen. She said they would be paid HK$600 after the protest. She added that they were required to sign in with the Confederacy upon arrival, and would need to sign out before collecting the payment. A Chinese participant, who has been living in Hong Kong for nine years, told Apple Daily that Beijing’s ruling was about “kicking out two lawmakers,” although she could only name Youngspiration’s Yau. Another Mandarin-speaking attendee said she did not know the purpose of the demonstration. Before the rally began, the protest organisers said on stage that all of the participants were patriots and were not paid to attend the event. It would be a smear if people accused the demonstrators of being motivated by money, the organisers said. They asked anyone who suspected protesters received payment to report to the police. 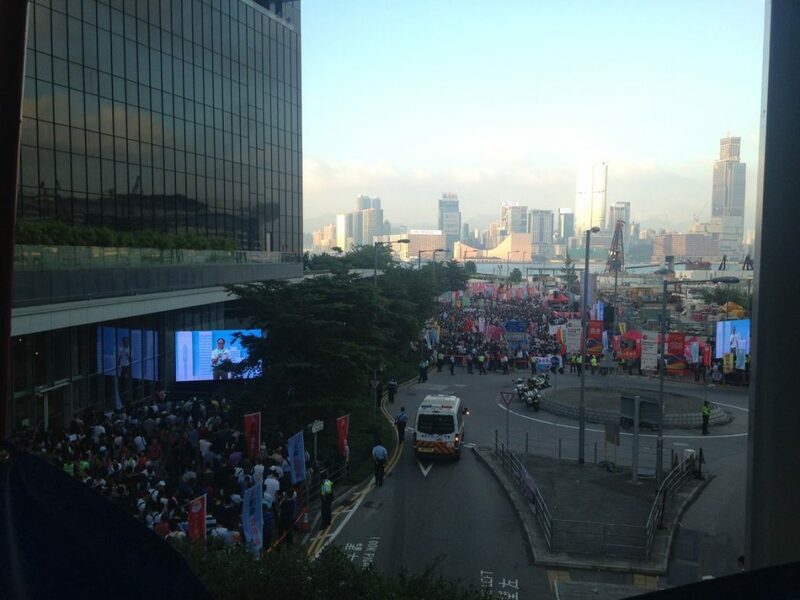 The organisers said more than 40,000 people attended the rally, while Hong Kong police said there were 28,500 participants at its peaks. Pro-Beijing lawmaker Priscilla Leung said that the high turnout proved that many people are against the idea of Hong Kong independence. 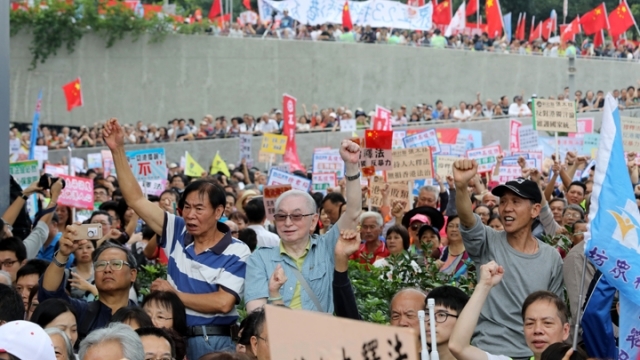 A pro-democracy rally in protest against Beijing’s interference held last month was attended by about 13,000 people, according to the organiser. Organiser Au Nok-hin said that the two events differed in that pro-China demonstrators were paid to participate, while pro-democracy protesters sacrificed their time without reward.